Hugh Munce was a self employed baker in Dunedin, living with his ailing, blind father John Munce. The Munces were community men through and through, providing bread to many in their local area, and regularly attending the nearby Anglican church St Mary’s. In 1916 Hugh was conscripted to fight, and in 1917 set off on the 'Ulimaroa,' alongside his friends and fellow Dunedin-ers in the Otago Infantry Battalion. This humble baker was not a warrior, and not prepared for the horror that waited for him in Belgium. Hugh and his fellow Kiwi’s landed in Plymouth, England, and then were shipped to Dunkirk. Munce and his battalion then traveled to the Western Front; arriving just after the German capture of Westhoek, in which the allied forces had lost vast amounts of ground. The battalion was charged with rescuing those who were injured in the attack, sent out into the allied captured Glencorse woods. Tragically, the German forces, just reinforced with fresh troops, began an advance into the Glencorse woods, capturing back most of the land within them. Munce and his fellow soldiers, deep within the woods, were presumably mown down by German machine guns, yet Munce, and many of his comrades, have been recorded as Missing in Action. Hugh Munce was a self employed baker living in Dunedin with his ailing, blind father John Munce. His home, 4 Argyle Street, is shown here in all its glory. St Mary's Anglican Parish was established in 1883, and covered a number of districts across Dunedin, including the suburb of Mornington, where Hugh lived most of his life. Both before, during, and after the war, the Church was a place of meeting and mourning for many of Dunedin's residents. Serving as a community hall, a place of worship, and a quiet house of reflection, the church that once sat here played a huge part in the lives of those nearby, including Hugh and his father. 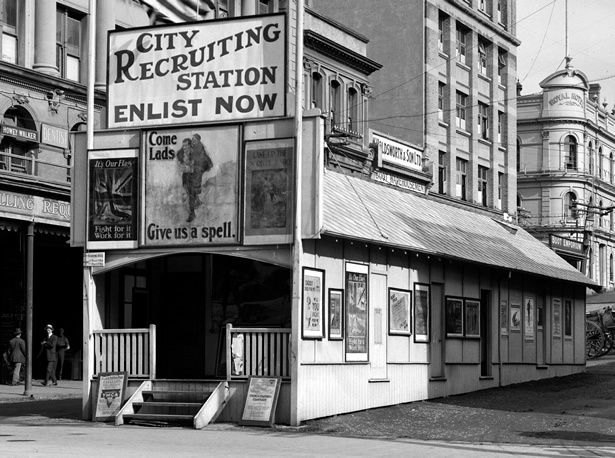 The New Zealand government introduced conscription in 1916, meaning men now had to fight in the First World War. This now meant that Hugh could be conscripted at any moment, leaving his father alone. In December of 1916, Hugh Munce was conscripted into the Otago Infantry Battalion. Hugh had never fought before in his life, his hands those of a baker, not a solider. In less than 10 months, Hugh Munce would be dead. Hugh and his fellow Dunediners in the Otago Infantry Battalion travelled to Plymouth, England in 1917 aboard the Ulimaroa. On the north west coast of France, Dunkirk was an entente port during World War One. The Kiwi's drew closer to the Western Front, and would be quickly sent on foot to the trenches. Many would never see Dunkirk again. The Kiwi's had arrived. Blood, mud and corpses greeted these Dunedin men; Hugh could be no further from his beloved bakery and loving father than he was now. 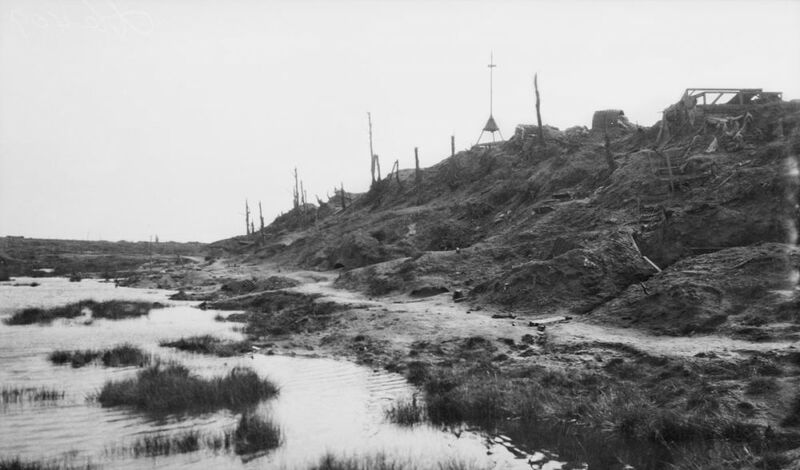 A bloody battle had been waged in Polygon Woods as part of the second phase of the Battle of Passchendaele. The Glencorse woods, a smaller forest a few kilometers away from Polygon, saw a successful allied push, capturing the land back from the Germans. Hugh Munce, and a number of his battalion, were charged with rescuing the wounded from within the Glencorse woods. Hugh and his fellow Kiwi's traveled deep within the Glencorse woods, searching desperately for any solider struggling to survive. Yet as Hugh drew further and further into the forest, it became clear that the information he had received was incorrect. The Germans were still hiding within the tall trees of Glencorse, and the rattle of machine gun was heard too late for Hugh, or his companions, to react. Hugh Munce, and the men that accompanied him into the Glencorse woods, have never been found. Kiwi's waited anxiously for their children to return. Hugh, and his fellow Kiwi's who fell in the Belgian mud, may be lost to record. But their sacrifice will not be forgotten. Preserving the lives of these men in New Zealand's history will take time and effort, but this is a small repayment for their ultimate sacrifice. What can you do? Find an Anzac on our website, and learn who they were, where they lived, and what they gave for their country. Next, put yourself in the shoes of Hugh, Edith, Otto, or any other brave Anzac. Write to us with your stories. 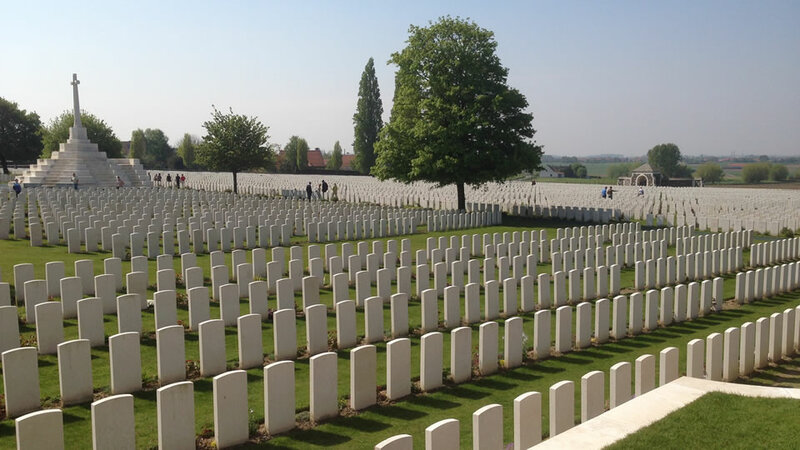 Lay a poppy for these brave men and women, learn about their hometowns, their families, and their communities. But don't stop there. Thousands of Anzac stories have been lost, stories that should not be forgotten. Only in forgetting these men and women will their sacrifice be truly lost. Will you be sent off to war? Conscription boxes such as this one were used to select the Kiwi's who would be shipped off to war. The chances of being selected were scarily high, as was the chance of dying during the war if you were one of the unlucky few, such as Hugh, who were drawn out of a box such as this. The name of every able bodied man in your region, excluding Maori, was put into a box like the one above. The box was cranked about, and then the names would be removed and read out to the nervous reporter. Your chance of being sent off to war is the same as rolling a 5 on two die. Use the interactive tool below to see whether you would be conscripted, then write us a letter from the front. What is life like in the trenches? Did you see Hugh make his final walk into the Glencorse woods? Tell us your stories, share them on our social media sites. We shall never forget. will you roll a 5? Imagine you are Hugh Munce. Describe how you would have felt learning that you have been conscripted.